Unconventional Spirit. "cutting edge, expedient, reliable - and inexpensive." 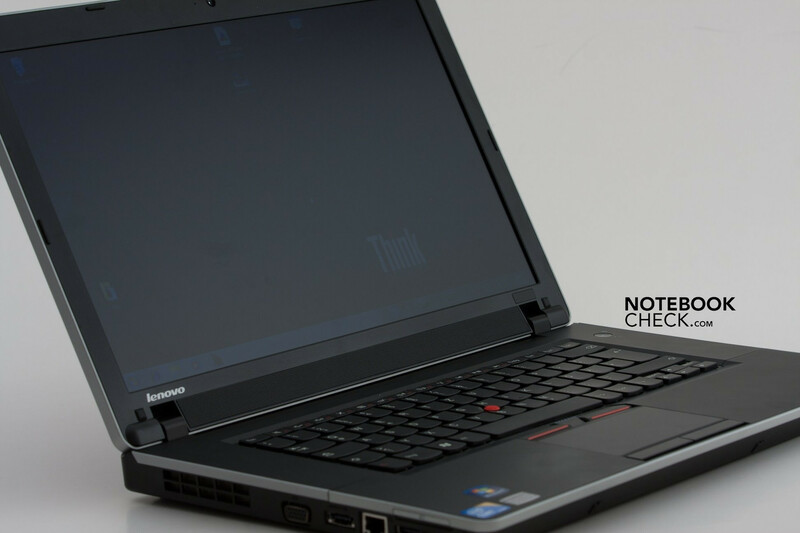 This is how Lenovo tags the ThinkPad Edge Series for small businesses. We've checked if this has been successful and if even private users will find an attractive office alternative. Alas, how simple life was when IBM sold its PC division to Lenovo in 2005. 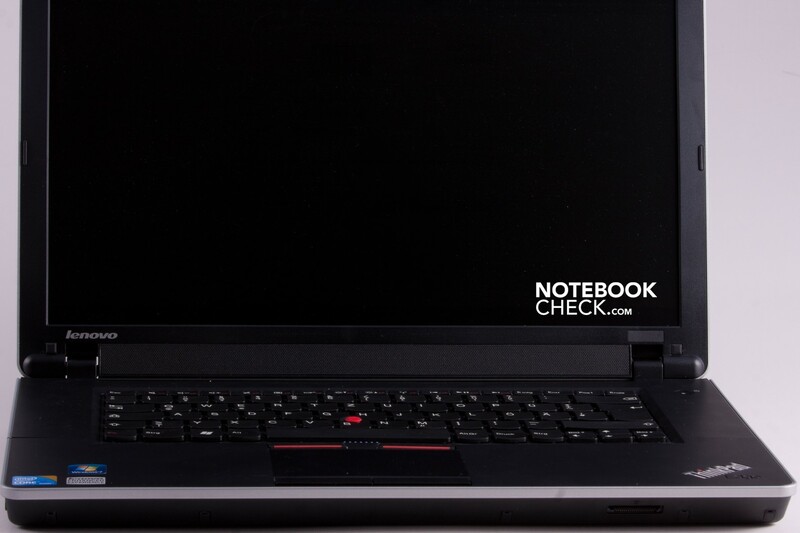 There were only three clearly defined product lines for the notebook market: The R Series led the way into the ThinkPad world. The T Series stood for high-quality business notebooks, whose reputation still continues. And then there were the ultra mobile devices of the X Series. Today, everything is a bit more complicated. Aside Lenovo's original products, there are seven ThinkPad divisions in the product portfolio. 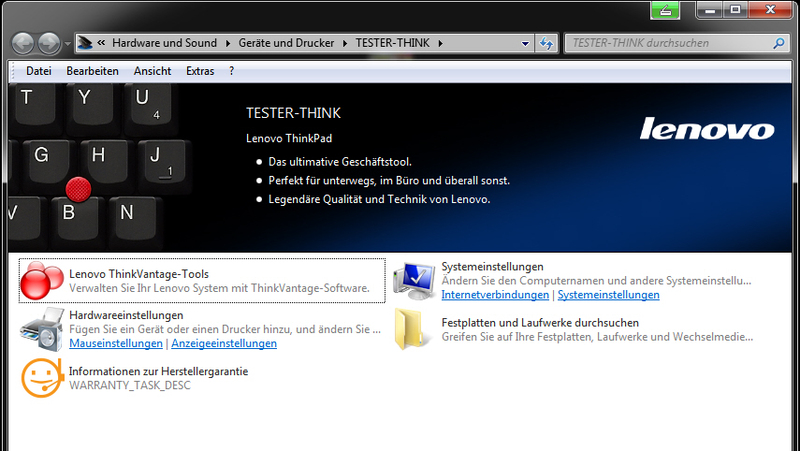 Its newest sprouts are the ThinkPad Edge models. With "sophisticated simplicity" and a low price, Lenovo particularly addresses small companies with a limited budget, who don't want to compromise on quality and functionality. A small commercial (clip no 3) clearly shows what distinguishes the TP Edge from the R, SL and L models. Whilst the last devices listed continue the classic style line, Lenovo tries to set new design accents with the new Edge. At the same time, it doesn't want to forgo on proven concepts. We are very curious if this has been successful. The now present 15 inch device's little 13 inch brother had already been on our test bench back in March and was very convincing. Soon in retail: The series' 11 inch alternative. The Edge ThinkPads surprise with a new, fresh, yet even still plain design. Soft curves have replaced the classic ThinkPad's edgy design. And there are two new colors for the display lid, next to the typical black: anthracite and red. 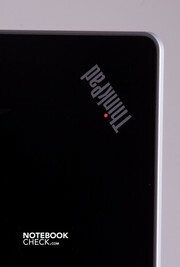 Merely the ThinkPad logo on the case's upper side and on the base unit is striking. 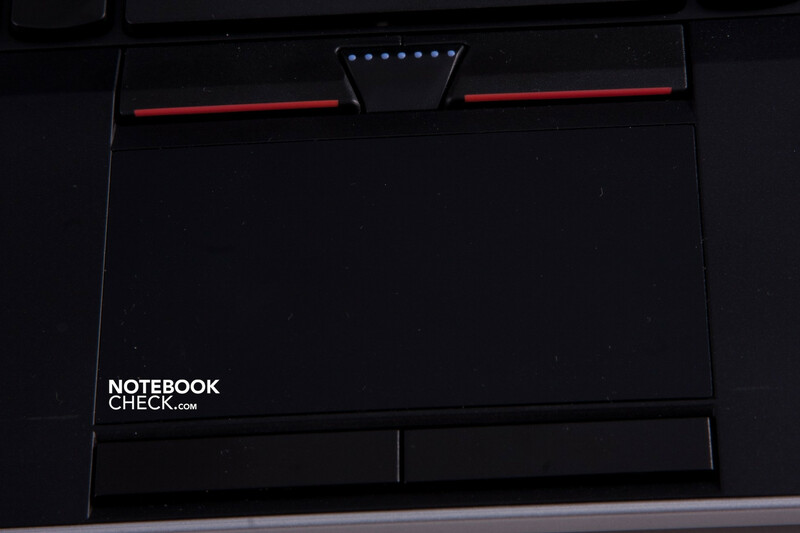 The logo's red illuminated "I" dot that indicates the notebook's operating status is smart. 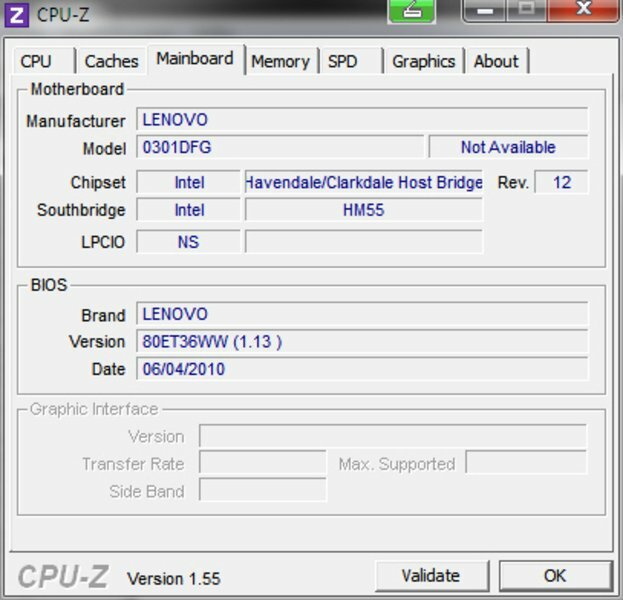 Lenovo forgoes on other, typical operating indicators, such as for hard disk activity or WLAN status. There are only small LEDs on the LAN interface and power socket - but because they are on the sides, they are hardly noticed. 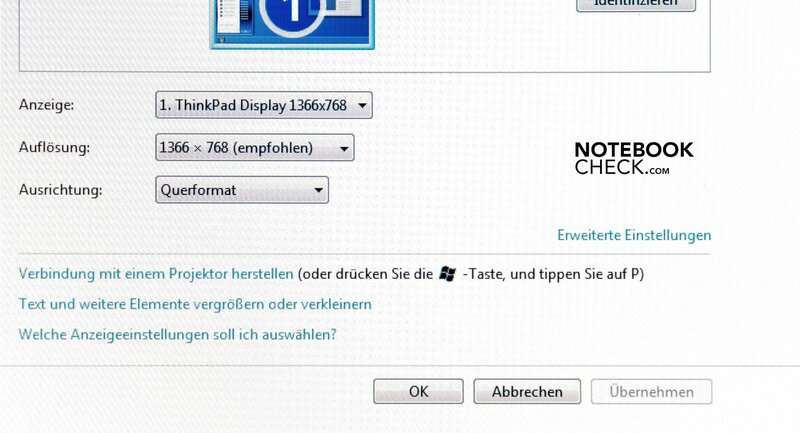 There are also no hot keys or WLAN button. We haven't often come across such plainness in the past. A silver rim adorns the display lid and base unit, and gives them a stable impression. Unfortunately it's not metal, but merely a decorative plastic frame. Nevertheless, the case's plastic seems high-end and provide the base unit with the necessary torsional stiffness. Regrettably, this can't be said of the display. Whilst the display lid of the classic ThinkPad couldn't be twisted at all, it's possible on the Edge. The lower edge, between the display hinges, is particularly instable. But, the Edge follows the tradition of many other laptops here. 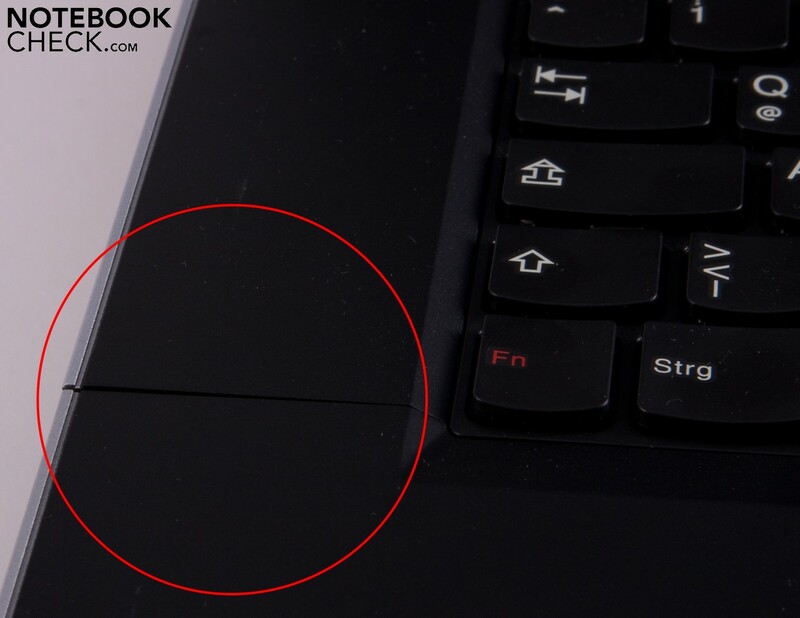 The next weak point on the case is the keyboard's right quarter, over the optical drive. There seems to be a cavity underneath the keyboard. The area around the "enter" key can be depressed strongly. This shouldn't be underestimated, because it lessens the typing comfort during use (more about that in "Input Devices". 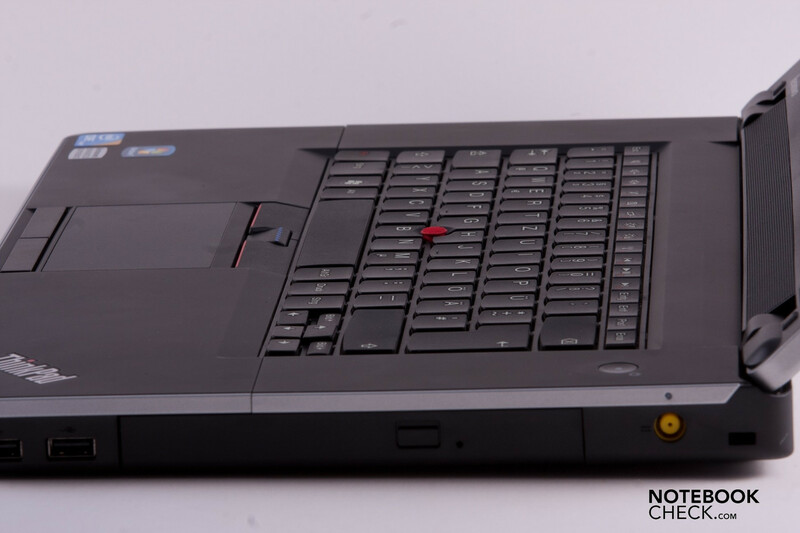 The renunciation from the original ThinkPad design also means the renunciation from the display's "clamshell" design. And thus, the lid doesn't close as precisely anymore, especially since there is no display latch. The TP Edge also places itself in the queue of many standard cases in this point. Talking about latches: The hinges don't have to only keep the display closed, but also should provide good grip on the opened display. 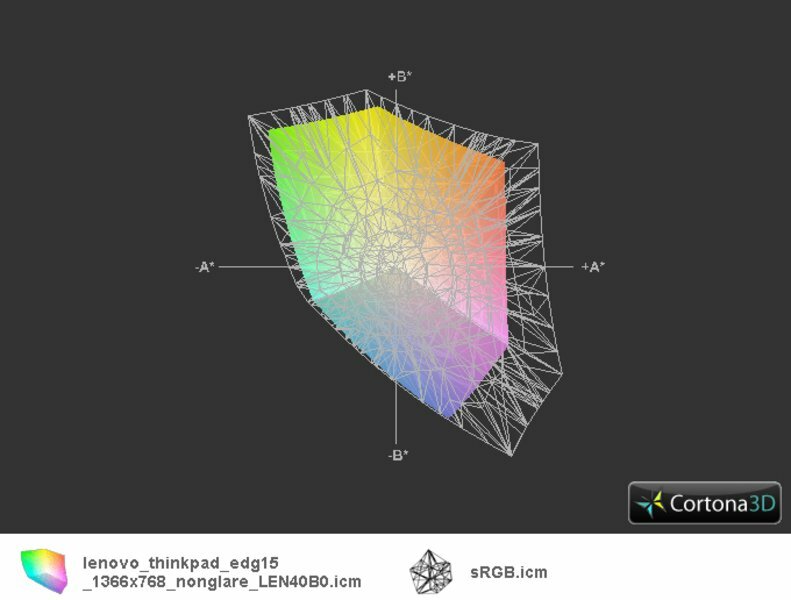 The Edge isn't as successful as the higher quality T models, either. The retention force slackens so considerably at an opening angle of >120° that the display threatens to fall backwards. 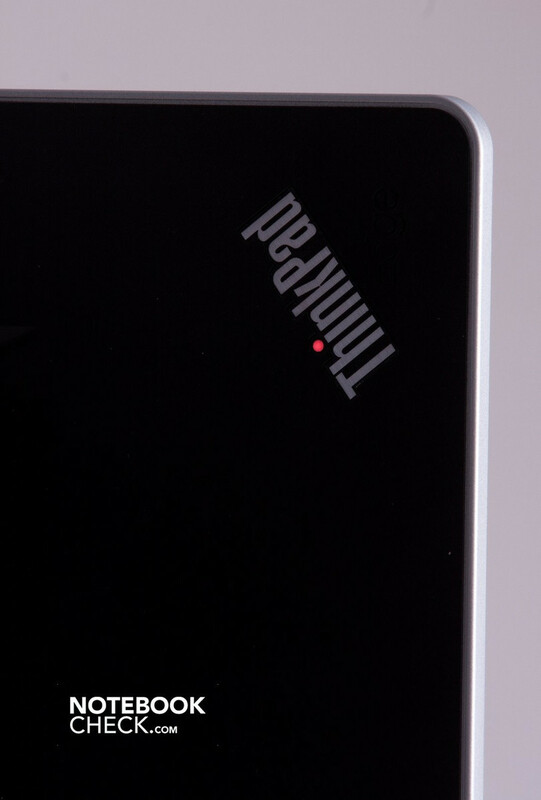 Most ports are found on the case's right or left side for easy access for some ThinkPad generations. The TP Edge isn't an exception. 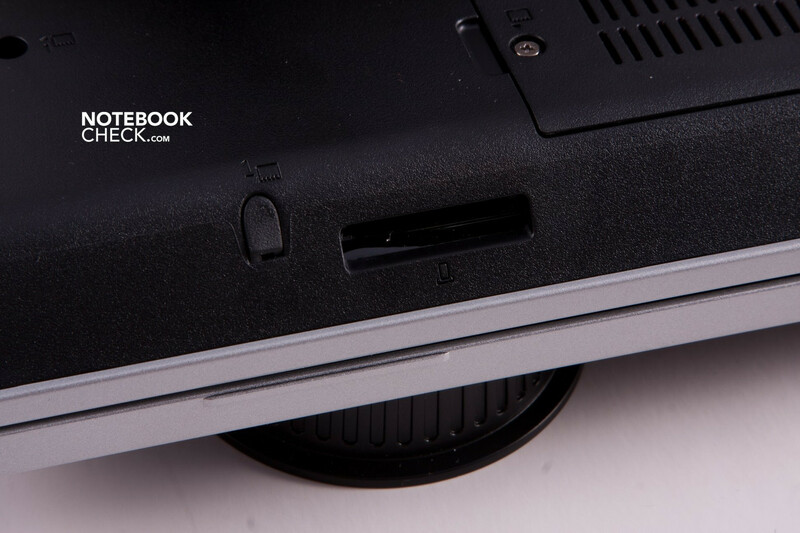 The laptop projector, network cable or USB hard disk is easily connected without contortions. A drawback is that the connected device's cables stand out from the notebook's sides. Thus, it could waste valuable desktop space or even impair navigating with a mouse under certain circumstances. The rear is almost completely reserved by the battery and only leaves enough room for one USB port and air vents. A Kensington Lock, the power socket, the DVD drive and two USB ports are located on the right. Merely the cardreader is found on the front (without a dirt protection cover). There is a combined USB/eSATA port, a VGA and HDMI-out, a combined in/out audio socket, a 34mm ExpressCard slot and a LAN port on the left. All interfaces are easily accessible and usually also leave enough room for the devices to be connected with a sufficient distance. The HDMI and audio sockets could be covered only when a large ExpressCard (e.g. UMTS) is used. 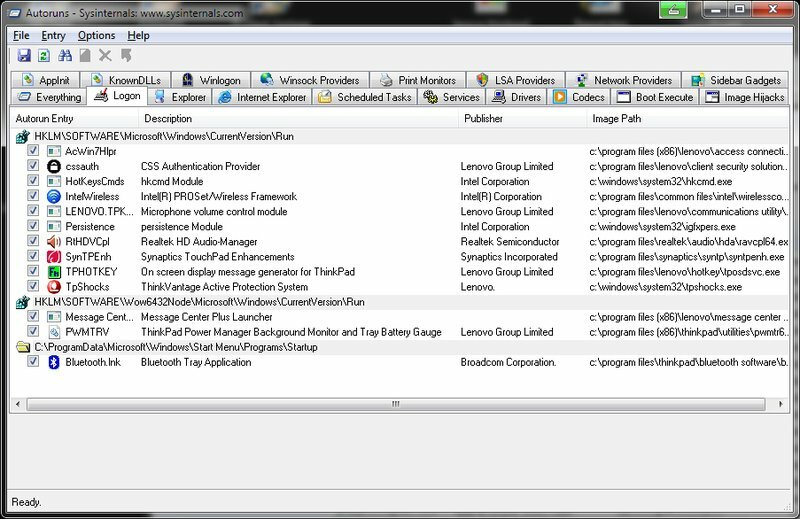 Lenovo has probably saved on a docking station port for cost reasons and differentiation from the other series. Lenovo isn't stingy with security. 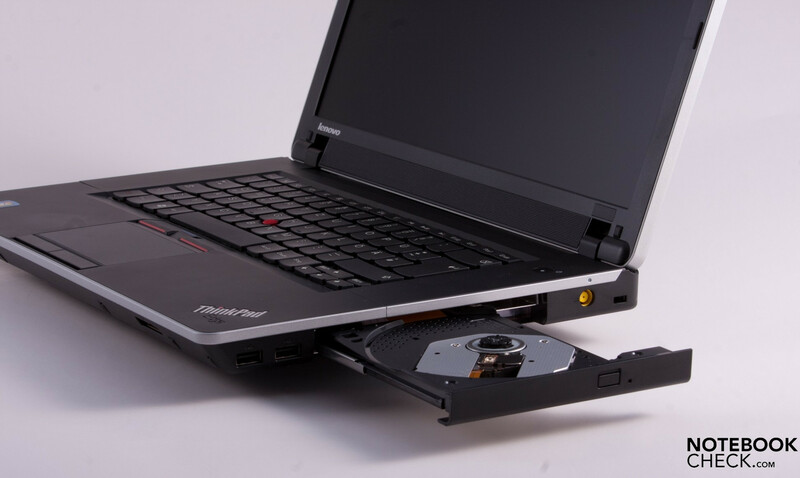 A hard disk sensor, as in all ThinkPad models, protects the hard disk against data loss during heavy vibrations or drops. The hard disk's read and write heads are pulled back from the magnetic disks in time. The splash water proof keyboard is another security feature. 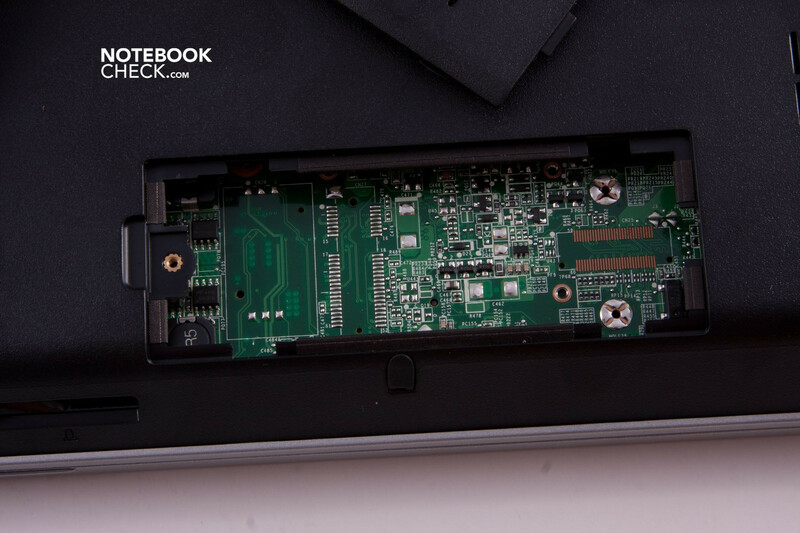 An integrated fingerprint scanner is only available for the 15 inch notebooks' configuration and wasn't included in our test model. Moreover, there is no TPM module. Backup and recovery software is an integral part of the ThinkVantage software bundle and installed on all ThinkPad devices. The professional alignment on business market becomes at latest evident in the supplies and service options. Although we miss a docking station for the Edge series, there is a port replicator for a USB port. A larger battery extends the runtime and various warranty and service options finish off the package. The scope of delivery is just as simple as the Edge design. There is nothing inside of the carton beside the adapter and a quick guide. You even have to create the recovery DVD yourself. That is however quite simple due to the installed software and recovery partition on the hard disk. Merely a one year warranty is included for the Edge. 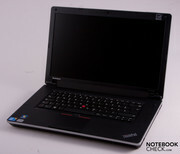 However, it can be upgraded to "ThinkPlus" or "Lenovo Care Services". Then you receive a fast repair or a replacement device (even for damage caused by overvoltage or water, depending on the service package) - naturally for a surcharge. The combinations are numerous. 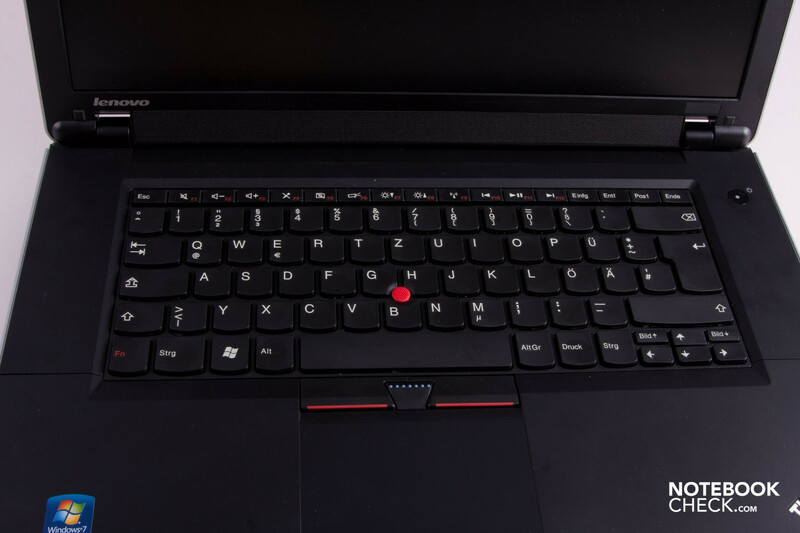 We place high expectations on the keyboard because that what has "ThinkPad" in its name wakes the according expectations on typing comfort. The keyboard built into the Edge is now made in a chiclet look and fits seamlessly into the minimalistic design. The keys have a short stroke length and a soft, but clear pressure point. The keys' material is pleasantly high-end and even manages to convey a touch of elegance. The enter, backspace and shift keys are agreeably big. In return the cursor keys are too small. The "page" keys have been placed unfavorably. They are on the right and left of the up cursor. The keys have been submerged, but because the cursor keys are only about half the size of standard keys, you tend to hit the wrong one. Nevertheless, as already mentioned in "Case", the keyboard has a major drawback. 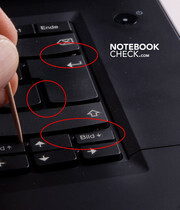 The area around the backspace, enter and cursor keys is very instable. This region yields strongly during typing and the keys wedge in every now and again for a short time. Thus, the stroke length and pressure point of these keys completely lose their clarity and leaves an almost revolting typing feel. The F keys main functions have been relegated to secondary assignment via the "FN" key. Now only the standard secondary assignment, or hot key functions, like volume, WLAN/Bluetooth button, brightness control, camera, display control, etc., are found there as primary key assignment. We think that is very practical. The touchpad is very big in comparison to other ThinkPads or notebooks. 9.5 cm times 5.5 cm are almost gigantic dimensions. The touchpad's surface material is just as pleasant and high-end as the keyboard. It also is capable of multi-gestures with two fingers. 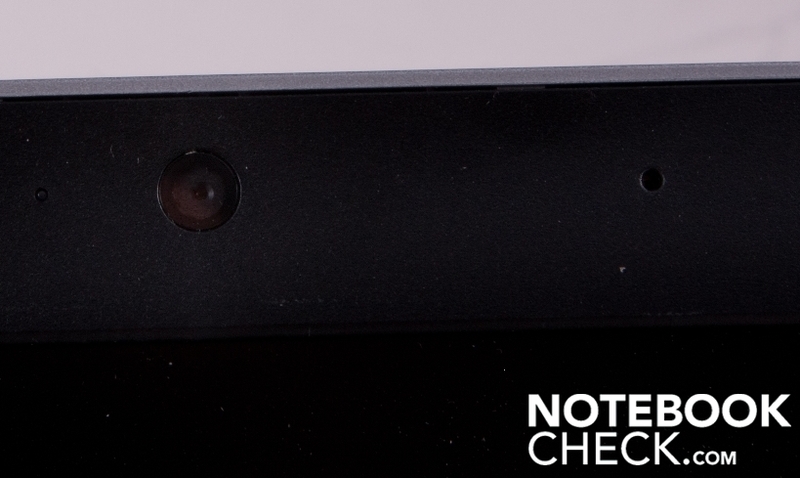 The Lenovo Edge can score with that in ergonomics. 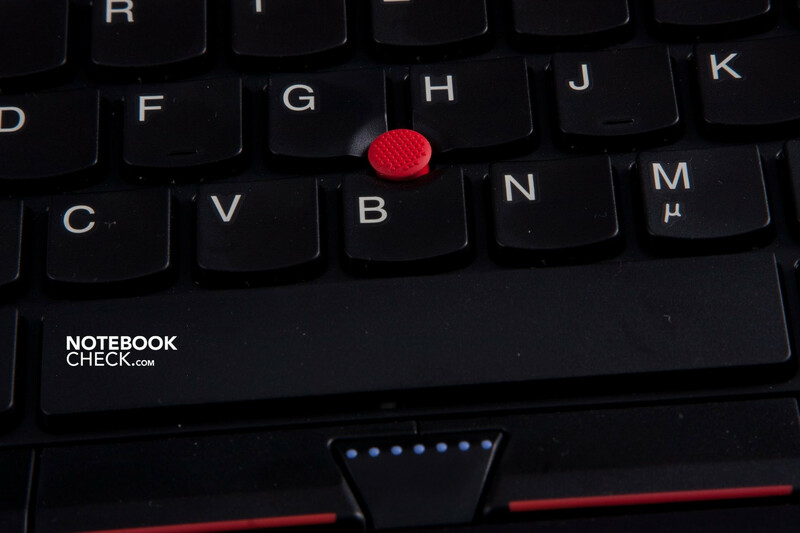 Of course, the Trackpoint shouldn't be left out on a ThinkPad. It is a real alternative to a mouse or touchpad. 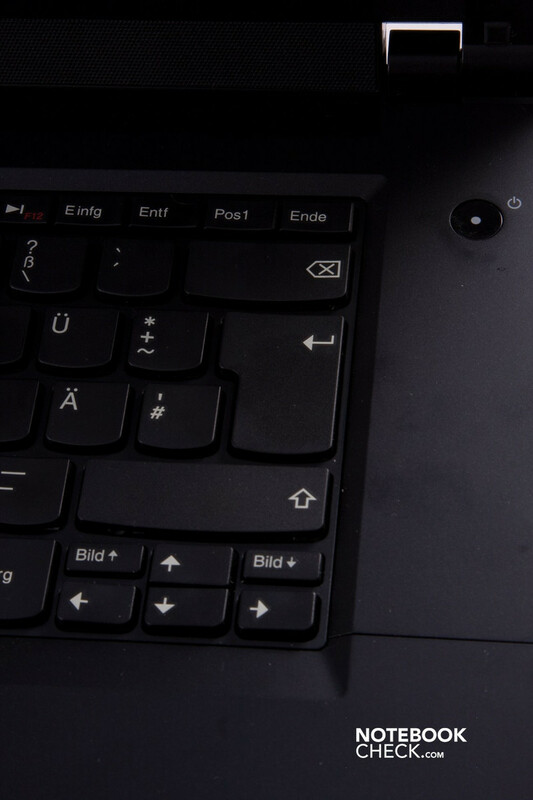 The cursor can be controlled precisely and longer working isn't difficult with the Trackpoint due to the large surface. 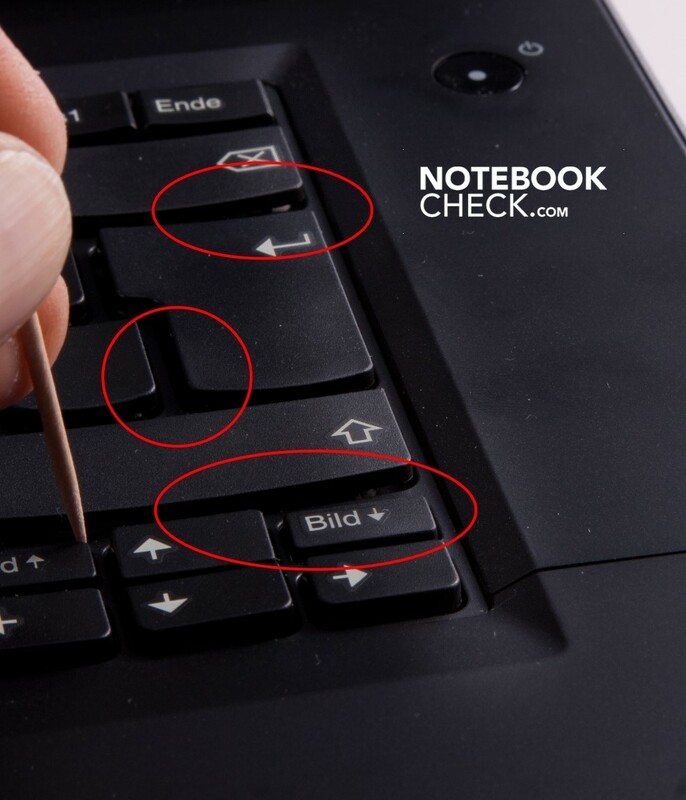 Lenovo has always put the focus on the Trackpoint, because it is given three extra mouse keys. The touchpad only has two. Even the frugal office worker has certain demands on the display of his computing servant. It should be bright and evenly illuminated, and have an AR coated surface. The Edge's 230 cd/m2 on the left display side is a good rate. However, the notebook doesn't take homogeneousness quite so seriously. 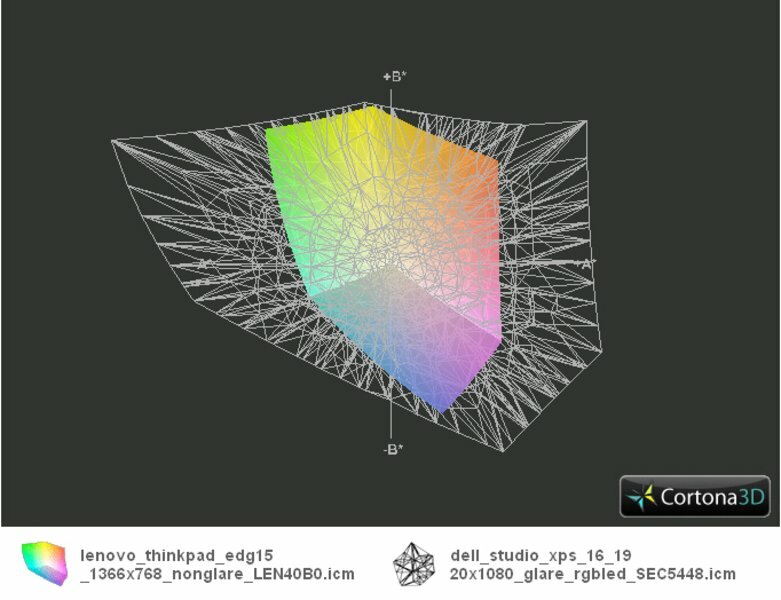 The brightness rate decreases extremely towards the right. Only 150 cd/m2 are left at the right edge. The black value of 1.39 is quite high and thus it's not recommendable for multimedia applications, picture editing and the like. This application scenario isn't a prime issue for office devices anyway. The limited color space is typical for this notebook category. Just like the viewing angle dependency. It is alright on the horizontal plane (even from the sides), as long as you look at the display in a 90° angle. If you deviate from the ideal vertical position, the image is irradiated (>90°) or inverts (<90°). The ThinkPad Edge's display disqualifies itself for multimedia applications, like games or DVDs, due to a very visible fine grid. This is especially unpleasant with DVDs. You have the impression that you're looking at an interlaced video. The display is just as unsuitable for outdoor use - despite AR coating. It would have needed a considerably higher brightness. Lenovo considers the individual needs of small business with various processor and graphics chip platforms. So, there is also various incorporated graphics chips form the respective manufacturer available, aside from devices with AMD and Intel processors. 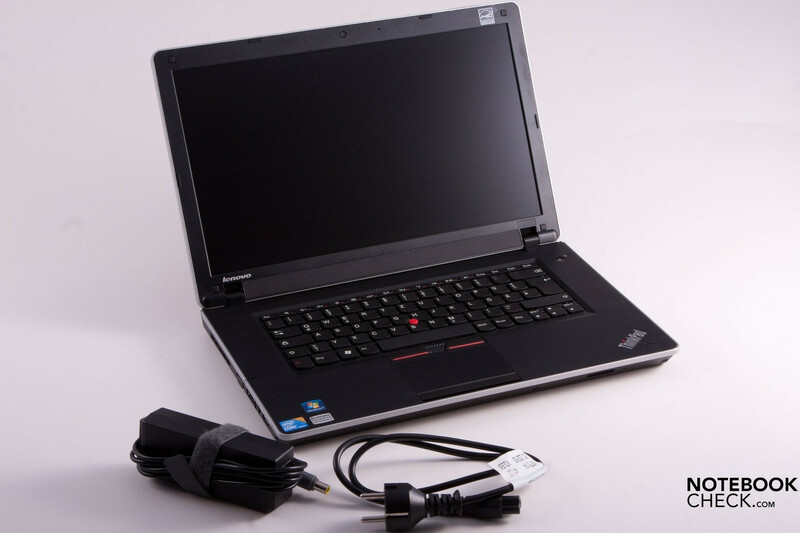 Our 15 inch test model was supplied with Intel's Core i3-350M and a 2 GB RAM. 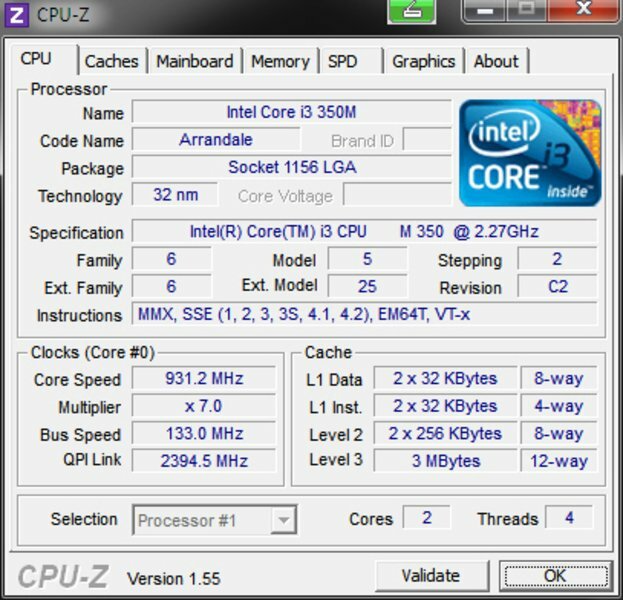 This dual core processor (2.26 GHz) has hyperthreading and 64 bit support known from desktop processors, but it doesn't have Turbo Boost. 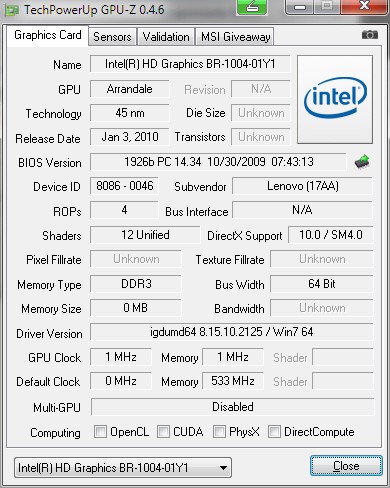 There is also a HD graphics chip built in. 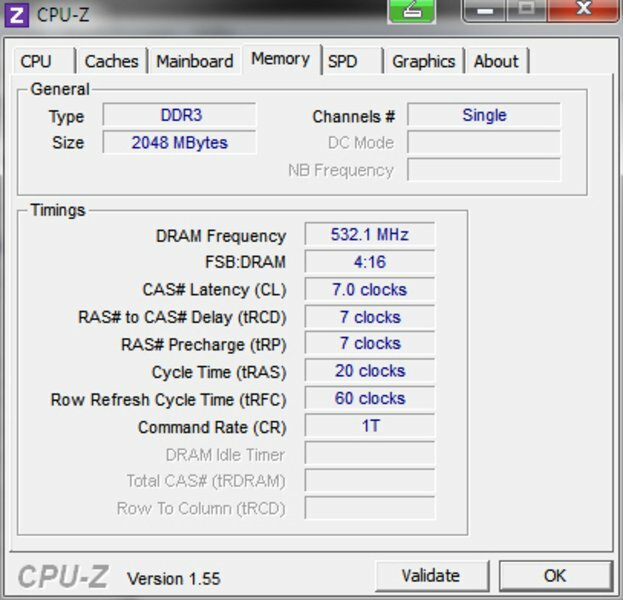 It clocks between 500 and 667 MHz and supports high definition video decoding. Data is stored on a 250 GB sized hard disk with 5400 rpm. In comparison to other business laptops, such as the recently reviewed Toshiba Tecra M11, the Thinkpad Edge places itself within the expected range in terms of application performance. The PCMark benchmark test rates the test system at hand with a total of 4922 points. 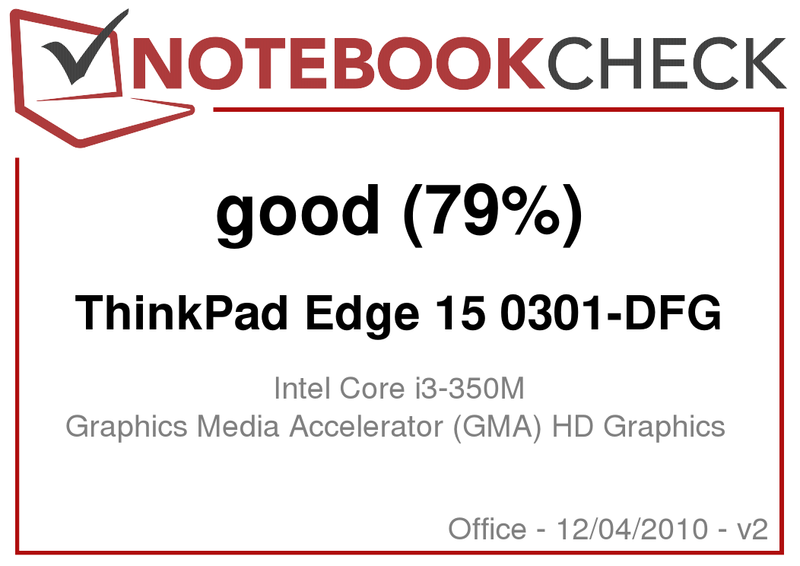 Thus, the Edge stands out from comparable systems, such as the Tecra M11 (330M/GMA HD) - 4819 points and the Thinkpad L512 (330M/GMA HD) from Lenovo with 4684 points. 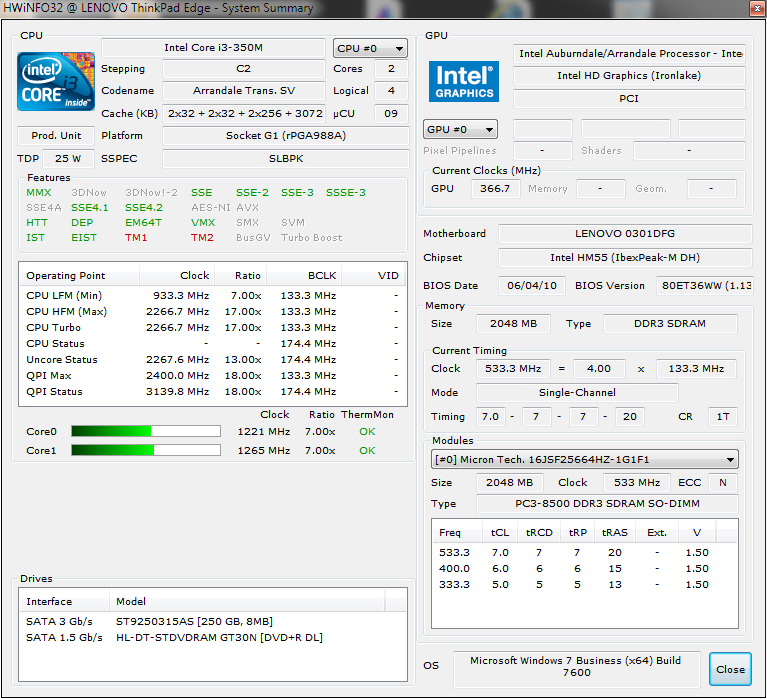 The slight advantage is probably due to the somewhat faster Intel Core i3-350M CPU in the Thinkpad Edge. The comparison with Toshiba's Tecra A11 proves that can be done better, or rather faster. 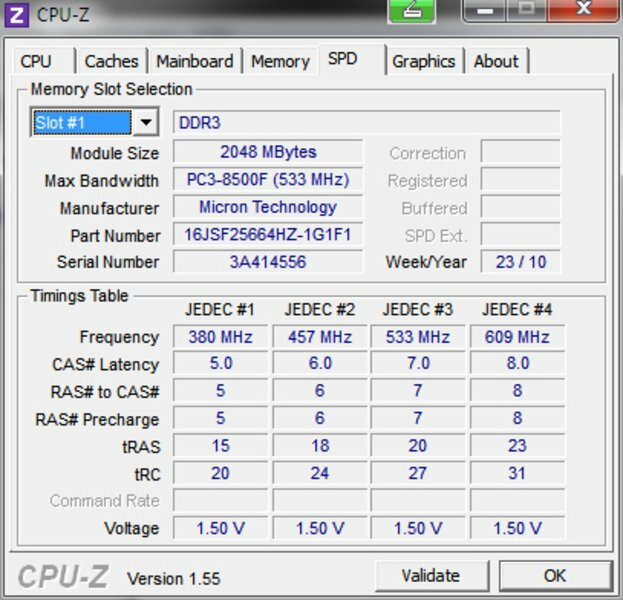 It's equipped with an Intel i5-430M CPU, which achieves 5676 points here. The HP Elitebook 8440p, with an i5-520M CPU and GMA graphics, plays in a different league in terms of performance and price. It scores 7770 points in the same application benchmark. 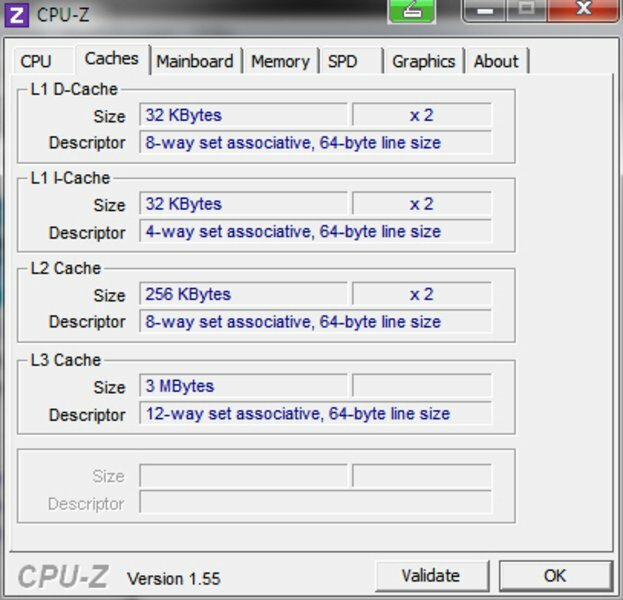 Basically, the given application performance is absolutely sufficient for standard office tasks. 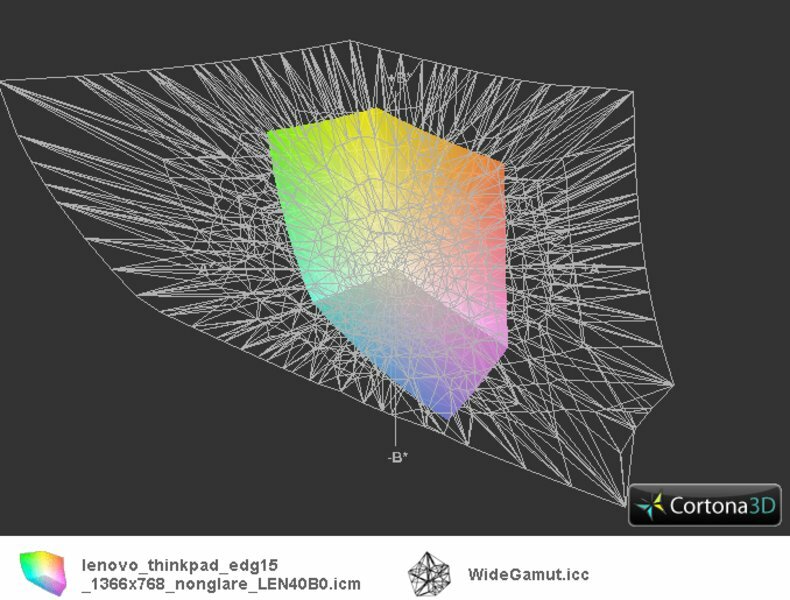 The Edge also supplies enough processing performance for HD videos due to the HD graphics chip support. The built-in hard disk provides the data within the range of standard transfer rates without visible performance restrictions. The optical drive also writes double layer DVDs. However, such media isn't suitable for backing up sensitive business data due to their short durability. You should change to other media for this. The notebook stays agreeably quiet under low load or in undemanding office use. Not quite 30 dB(A) on average are only perceived as a quiet whirring. The hard disk is usually louder than the fan. The hard disk noise is sometimes a bit annoying because it has a high pitched sound. The emission rates are equally good under load. The fan remains very audible with 36.4 dB(A) in the stress test, but it's still within a tolerable limit. The DVD drive gets just as loud. The drive calms down quickly in DVD video rendering and isn't disturbing anymore. The temperatures aren't quite as good. Almost 40°C is reached already in idle mode. The temperature then increases to almost 50°C under load - that is already precariously hot. The upper side stays cooler in both scenarios, but it's anything but cool. 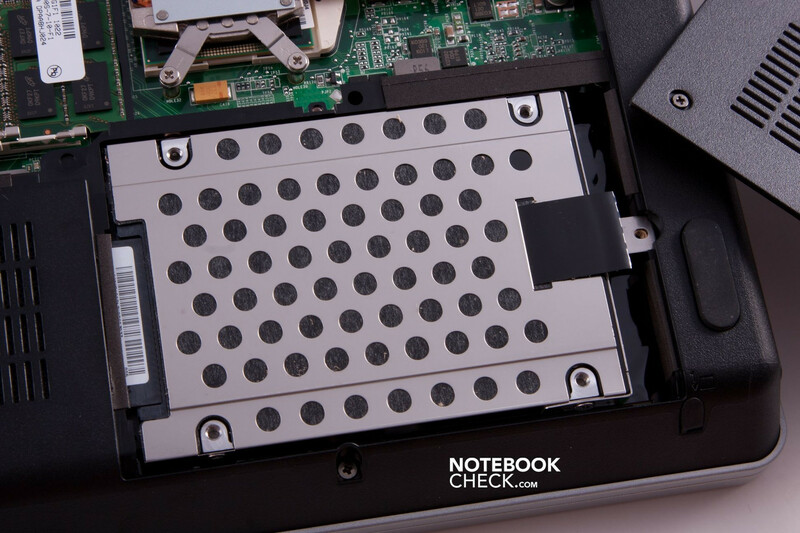 This is likely the price to be paid for a quiet notebook. 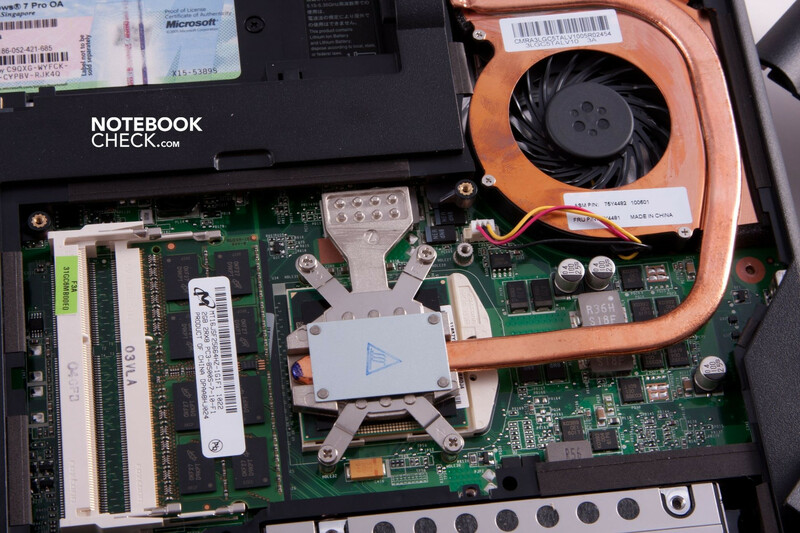 The fan would have to turn a lot more and more often for a cooler notebook. The little adapter literally fries an egg under full load with, believe it or not 61°C! Lenovo should improve this urgently. (±) The average temperature for the upper side under maximal load is 35.7 °C / 96 F, compared to the average of 29.4 °C / 85 F for the devices in the class Office. (±) The maximum temperature on the upper side is 45 °C / 113 F, compared to the average of 33.9 °C / 93 F, ranging from 21.2 to 62.5 °C for the class Office. (+) In idle usage, the average temperature for the upper side is 31.6 °C / 89 F, compared to the device average of 29.4 °C / 85 F.
(-) The average temperature of the palmrest area of similar devices was 28.2 °C / 82.8 F (-6.5 °C / -11.7 F). Loudspeakers are mandatory in every notebook, depending on the intended purpose, also more or less elaborately realized. Collaboration scenarios, such as video telephony or e-learning are focused on in office devices. Consequently, speech has to be heard clearly and understandably. Lenovo places the loudspeakers in the lower display edge so that the sound waves can be emitted into the user's direction without obstructions. Nevertheless, you shouldn't expect any sound miracles. The output is clear, but it lacks midranges and deep pitches completely. The small loudspeaker's volume is impressive. With a maximum runtime of a bit more than 4 hours, it's possible to work independent of the mains for a while. However, it's not really fun with a fully dimmed display illumination and stresses the eyes extremely. Similar devices manage for a longer time without an external power supply. A video rendering experiment proves that the display brightness, beside the real load, has an impact on the battery life. When the brightness is reduced by three or four levels (from a total of 15), the image remains to be quite bright. But the runtime is extended by up to 40 minutes to about two and a half hours. You can surf via WLAN for about 3 hours and 20 minutes. 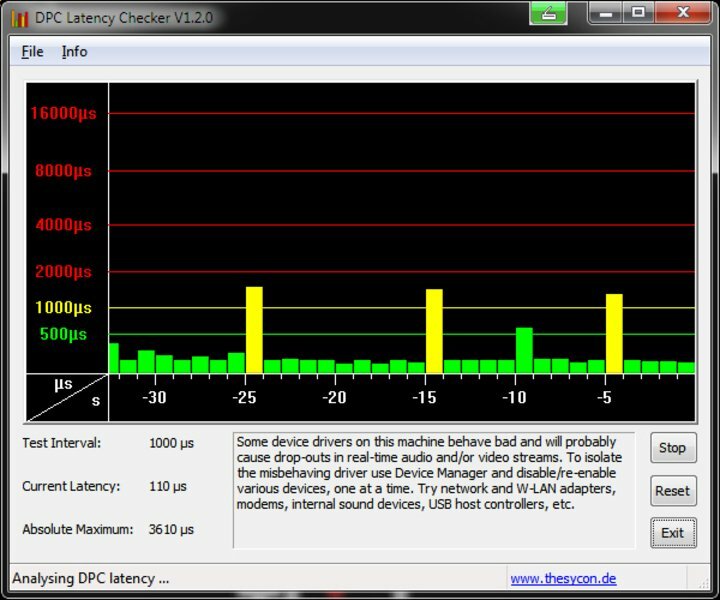 Experience has shown that battery life is reduced drastically when WLAN is permanently busy with high transfer rates. The ThinkPad Edge only lasts a bit longer than an hour under load. A bigger battery would therefore be advisable. The optionally available 9 cell battery should theoretically provide a 50% higher runtime in opposition to the standard 6 cell battery. 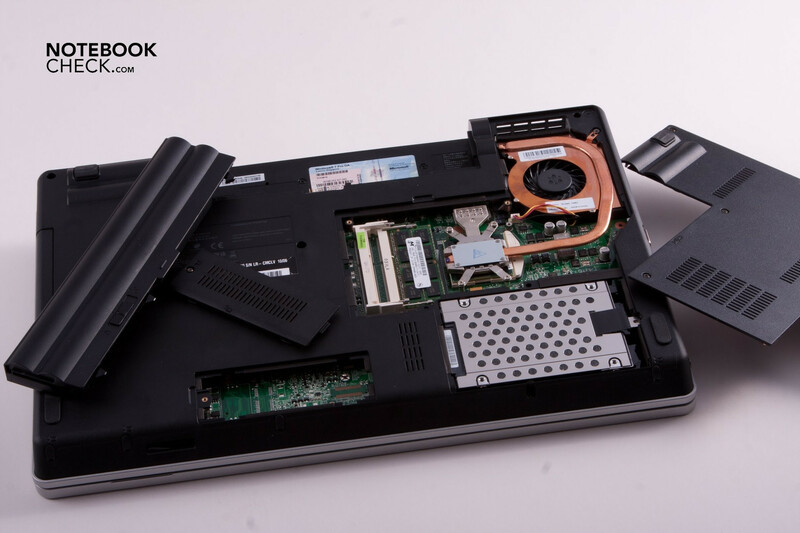 The ThinkPad Edge is within the expected range with a power consumption of 11-18 watts without load. The power appetite can increase to more than 50W under load. However, this should hardly ever happen in practical use. 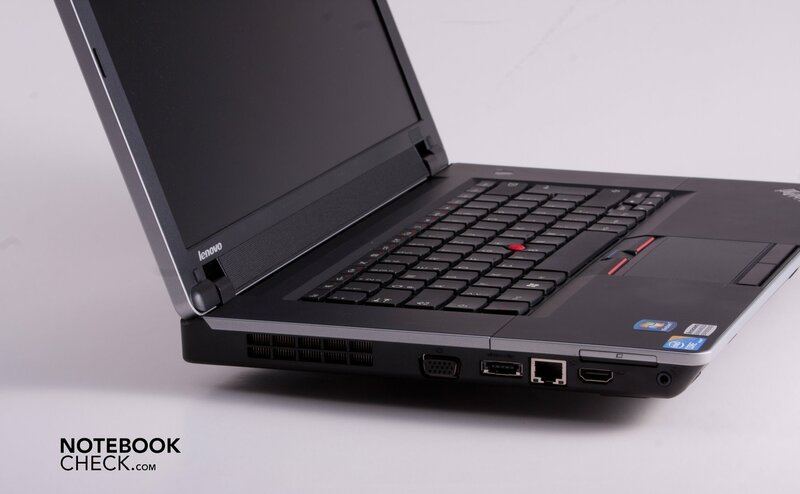 The ThinkPad Edge is perhaps the first step towards letting go of the classical ThinkPad design to a more modern styling. If that is really necessary will remain to be a matter of taste. You however have to accept setbacks in terms of function, as well as workmanship. 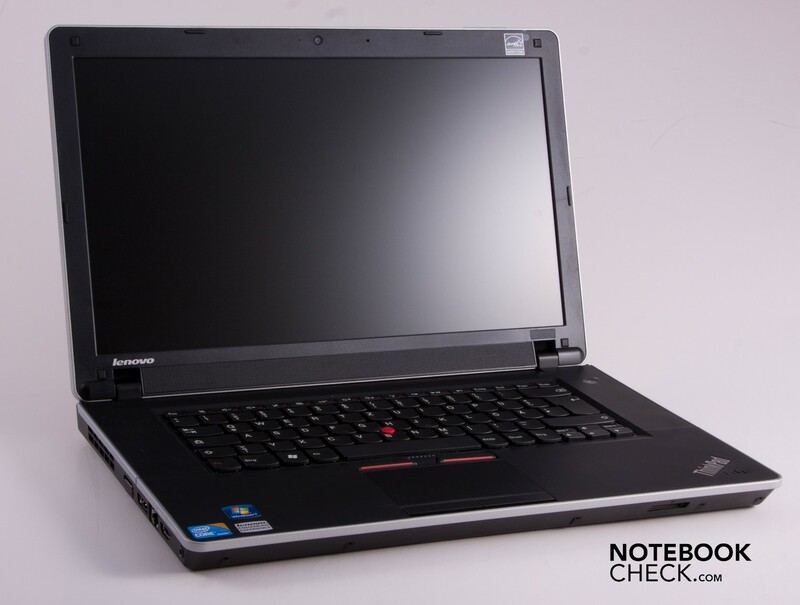 Although Lenovo clearly positions the ThinkPad Edge series on the inexpensive starter level with superior equipment, the Edge can't fully keep up to the quality claim of a ThinkPad. The renunciation from the "clamshell" design is likely the biggest mistake here. Lenovo looses a functional, unique feature with respect to the competition. Its locking mechanism prevented small objects (e.g. paper clips) from penetrating in between display and keyboard. The second, major drawback is the "cavernous keyboard" - had Lenovo done a better job, there honestly wouldn't have been reason to complain about the keyboard. The display is illuminated very unevenly. Almost as though the LEDs are only located in the left display edge. The temperature under load is also unpleasant. The Edge is within the usual range for this device category during processing and operational performance. At a street price of currently around 630 €, you get quite a lot of features and processing power in the ThinkPad Edge 15. Lenovo offers interesting upgrades with additional service options and clever accessory details, such as the multi-functional adapter. This is not often found in this price category amongst the competitors. Despite all the budgeting, Lenovo supplies an overall complete bundle. Other manufactures won't match the Edge in this price class in view of the standardly offered features. 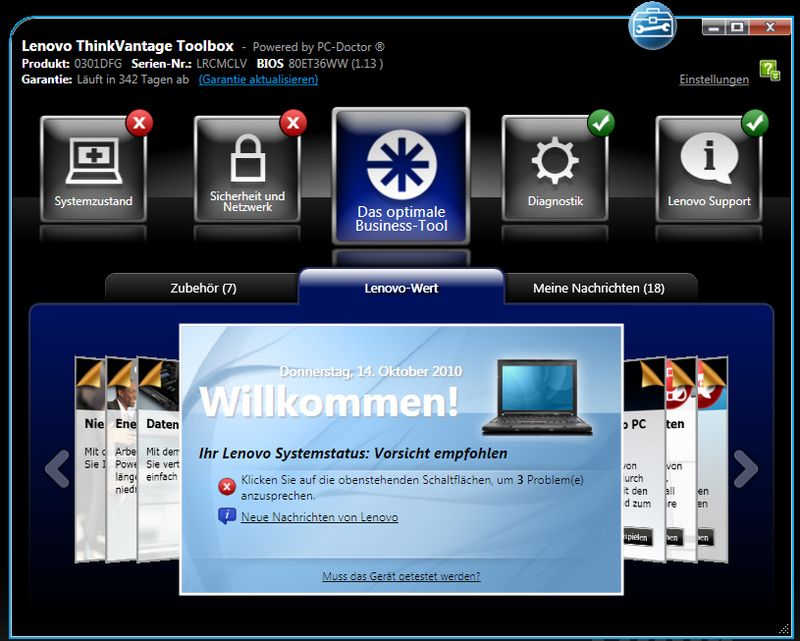 The configuration reviewed here is no longer listed on Lenovo's homepage. You will currently only find models with a Core i5-430 as the smallest Core i processor. However, you can order the device in the one or other shop. Small, but hot adapter. Nothing more in the scope of delivery. The only hot key is the power button. Office Starter replaces MS Works. ...without clogging up auto boot. Thus, Edge boots fairly fast. You can see the mainboard through the cardreader slot. There is no cover. Room for an optional UMTS module. Even exchanging the hard disk is a cinch. ... The case already yields under light pressure over the DVD drive. Larger gaps are created. ... For example, RAM and heatpipe. Dust can be easily removed from the fan. 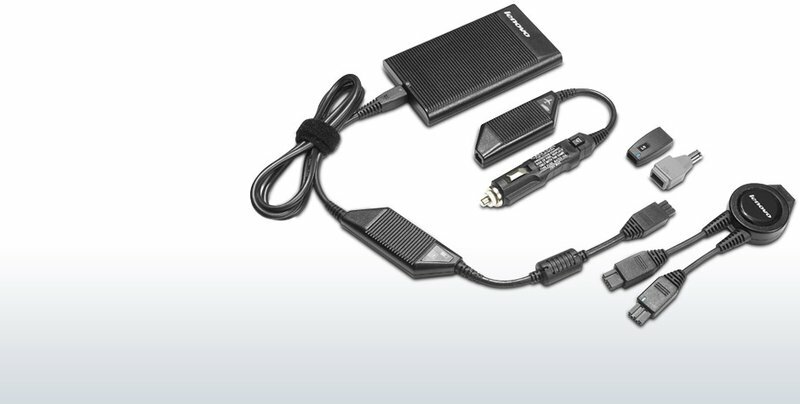 Lenovo's clever supplies: The multi-functional adapter is also available with a USB hub. The plain design that relies on its new functionality. 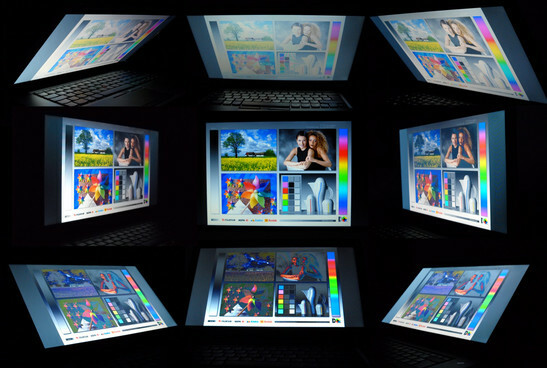 The large multi-gesture touchpad. The display frame's "clamshell" design and a decent display latch. The extensive configuration in both hardware and software (ThinkVantage Toolbox) for this price. The smart multi-functional adapter that can be bought optionally. ...is usually more expensive. 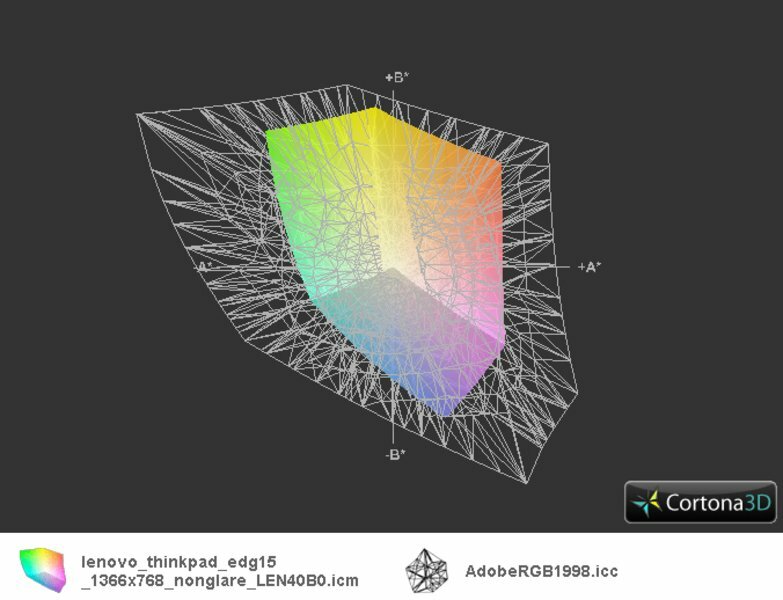 Lenovos L series is not as expensive as the T series and is also manufactured better than the Edge. But it's also still costs 200€ more. The Toshiba Tecra M11 costs almost 250€ more in a similar configuration. Features like hard disk sensor and multi-gesture touchpad is often looked for in vain in this price category. 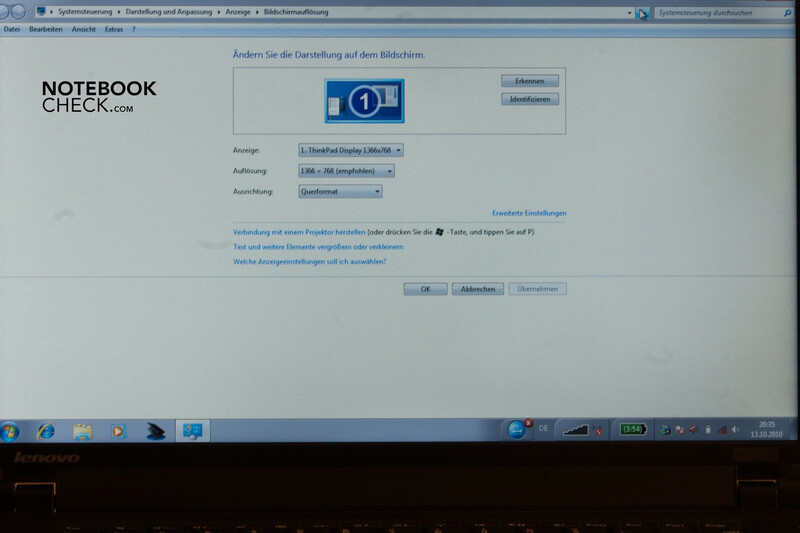 Possible alternative: HP's ProBook series.